The three albums reissued for this Old & New Masters set were the missing pieces in John Abercrombie’s discographic puzzle for ECM. Released less than two years before his death in 2017, the present collection comprises a vital document not with regard to its bandleader but also the label he would call his primary home after the release of Timeless in 1975. 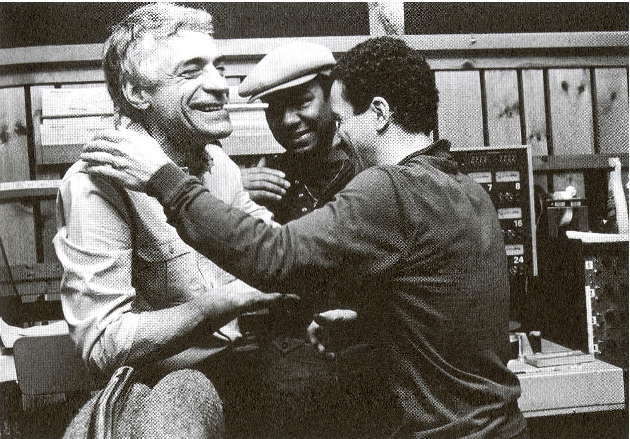 As Abercrombie recalls in John Kelman’s superb liner notes, “[T]hat was my first real break; it helped me find my own way, because I was basically a John McLaughlin rip-off at the time.” Whether we agree with the latter self-assessment, the album was a watershed moment of jazz history in which Abercrombie and producer Manfred Eicher collaborated on a lasting statement. Abercrombie, Kelman goes on, fell in with bassist George Mraz and drummer Peter Donald while studying at the Berklee College of Music in Boston (where he was roommates with Mraz and keyboardist Jan Hammer). After moving to New York, he squared the circle upon meeting pianist Richie Beirach. While building his profile as both musician and composer, Eicher gifted him with a Revox reel-to-reel tape recorder, which along with the piano would become his primary compositional tool for years to come. It was around that time that the quartet featured here came together in the studio under Eicher’s watch. As Kelman notes of their first session, “Arcade doesn’t sound like a nascent group still finding its way.” Indeed, what we have here is music that comes to us as if midstream, matured and ready to be experienced without any other filter than the decades it took to reach us in digital form. Toward the end of Akira Kurosawa’s Kagemusha, a rainbow spreads its band across the ocean to warn General Katsuyori not to proceed into the Battle of Nagashino that lies ahead, lest he meet with certain doom. Tragically, he ignores it and rushes himself and his men into an all-out massacre. Such omens are rare outside of the cinematic imagination. And yet, here we find a similar image gracing the cover of Arcade, signaling to us a music that doesheed that omen and luxuriates in the sonic benefits of its deference to a higher power. 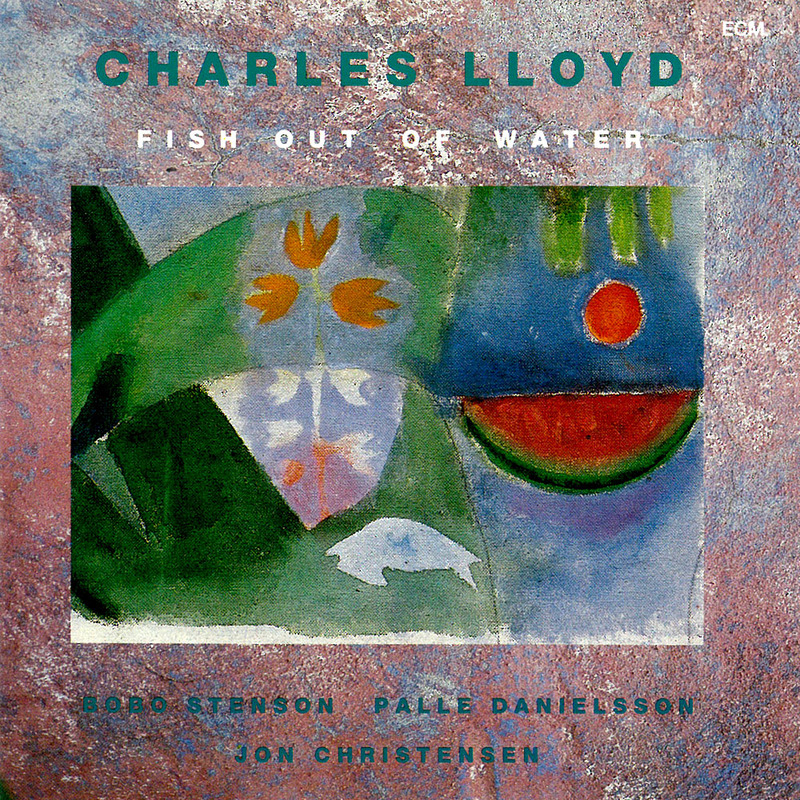 The title track, with its buoyant bass line courtesy of George Mraz (onetime member of the Oscar Peterson Quartet) and an effervescent Richard Beirach (rightful heir to the Tatum/Evans legacy) on piano, frames John Abercrombie’s adventurous fingers like gloves, making shadow puppets against the taut screen of Peter Donald’s drumming. This formula works from the get-go and provides plenty of magic from which the quartet spins one glorious melody after another. A splash of rain brings us to the “Nightlake” with downcast eyes as Abercrombie lays his rubato soloing over a liquid rhythm section. The results showcase the quartet at its best. “Paramour” is another stunner, working over the listener in waves. Mraz digs deep into his emotional reserves for this one. Meanwhile, things are a bit more cosmic on “Neptune,” where arco bass cuts a swath of moonlight in nebular darkness. Abercrombie launches tiny rockets into the stars with his electric mandolin, tracing new constellations on the way to becoming one himself. In closing, the group shows us what “Alchemy” is all about. From its lead filings arises a golden phoenix. Every appendage is an instrument animating the harmonious whole, tickled by Beirach’s ivory and gilded in a layer of cymbals. As its heart contracts, the guitar lets out a plaintive cry, running ever so delicately into the shadows of resolution. Abercrombie’s pinpoint precision abounds, his mid-heavy picking amplified to buttery sweetness, and shares notable interplay with Beirach. Over a yielding backing, these sustained reverberations occasionally coalesce in bright tutti passages. The resulting sound is enchantment. One year after debuting with Arcade, the John Abercrombie Quartet cut out the auditory paper doll that is this curiously overlooked successor. What set the quartet apart from its contemporaries was not only the fluid playing of its frontman and the ways in which it intertwines with that of musicians who are beyond intuitive, but also the sense of development in the structuring and ordering of tunes. Beginning with the pianistic groove of “Blue Wolf” and ending on the acoustically minded “Foolish Dog,” this self-titled peregrination winds itself into a tour de force of solemn virtuosity. From Beirach’s overwhelming cascades to Mraz’s contortions, we encounter a virtual entity of unity whose heartbeat counts off to Donald’s drumming and whose eyes glow with Abercrombie’s characteristic pale fire. This body unfolds into a misty landscape, where the gusts of “Dear Rain” spread melodies into harmonic pastures. Looser gestures like “Stray” (here, both verb and noun) share appendages with the resignation of “Madagascar,” which falls like a sheet from a clothesline in an oncoming storm. As the quartet grows in, Abercrombie’s gentle remonstrations graze the bellies of clouds with the barest touch of curled fingers, allowing “Riddles” to build their conversational nests in the branches of an undisclosed longing. No matter how “into it” these musicians get, they always display an admirable sense of control, so committed are they to the thematic altar around which they cast their spells. There is a sound that lingers on the palate, one that finds in its cessation the birth of something new. For its third ECM outing, the John Abercrombie Quartet produced this viscous and mysterious entity known simply as M. This seven-part exercise in burnished reflection plows its foggiest waters in “Boat Song.” Abercrombie’s guitar weeps like bells over a harbor, skimmed for flotsam by Beirach’s somber piano. At nearly ten minutes, this is the longest track of the album, and its darkness haunts all that proceeds from it. We encounter this also in “To Be” (a rubato wave notable for Mraz’s effortless bassing), and the harmonic inversions of “Veils.” Here, Abercrombie’s sinewy melodic lines stretch farthest, slowly immersing hands into the “Pebbles” in which we find closure. Donald’s drumming is particularly fine here and shines like sunrays from cloud-break. Despite Abercrombie’s often-piercing swan dives and a pirouetting rhythm section, even the liveliest moments in “What Are The Rules” (a rhetorical move proving there need be none) or “Flashback” never lift their feet too high off the ground. The latter’s circular conversations draw around us a perimeter that we are free to overstep. Yet after being bathed in such sonic finery, we feel reluctant to do so. The result is one of Abercrombie’s lushest albums, with a somewhat obscure and tinny production style that writes a different story every time. Taken as a trilogy, these albums are a time capsule of creative evolution into which the listener may step in, reading each tune like a cross-section of its own becoming in service of a whole that will only continue to grow as it ages now—remastered, revitalized, and released for all to share. The Dansere box continues ECM’s Old & New Masters series with four landmark achievements, the first three being the albums gathered within its matte packaging and the fourth being producer Manfred Eicher’s decision to reissue them as a set. None of the musicians need introduction here, least of all Norwegian saxophonist Jan Garbarek, who spearheads classic concoctions of extracts new and old. These early albums were key developments in the sounds of the musicians and a label with the wherewithal to pave their launching pad into the stratosphere of music history. Garbarek is said to have forged Norwegian jazz from diverse elements of his homeland, but something elemental in the very earth must also have forged his endlessly creative mind as a receptor to those elements. His career has of course splintered in so many directions since then, but a genuine commitment to the music has remained constant in everything he plays and is only magnified by the company he has chosen to keep. One could hardly ask for a more dynamic super group than that assembled on Sart. Garbarek’s first album of this boxed set is also his second for ECM and throbs with these young musicians’ intense desire to lay down new paths. Four of the album’s six compositions are by Garbarek. The first of these is the title cut, which takes up more than one third of the album’s total length. After an eclectic swirl of wah-pedaled guitar riffs from Terje Rypdal, Bobo Stenson’s sweeping pianism, the fluttering drums of Jon Christensen, and erratic bass lines of Arild Andersen, Garbarek’s entrance alerts us with all the import of an emergency siren. It’s an arresting beginning to an arresting album, evoking at one moment a 70s action film soundtrack and the next a clandestinely recorded late-night jam session. “Fountain Of Tears ­ Parts I & II” forges a harsher sound before swapping reed for flute. With the support of Stenson’s electric piano, Garbarek slathers on the sonority for a striking change of atmosphere. In “Song Of Space,” sax and guitar double one another almost mockingly before Rypdal hops a more intense train of thought, in the process mapping the album’s most epic terrain. Garbarek is only too happy to lend his compass. “Irr” turns Andersen’s nimble opening statement into a full-fledged narrative, along with some enjoyable adlibbing from Garbarek and Stenson. Andersen and Rypdal round out the set with respective tunes of their own. “Close Enough For Jazz” is a brief interlude for bass and reed full of unrequited desire, while “Lontano” finishes with Rypdal’s meditative, twang-ridden charm. 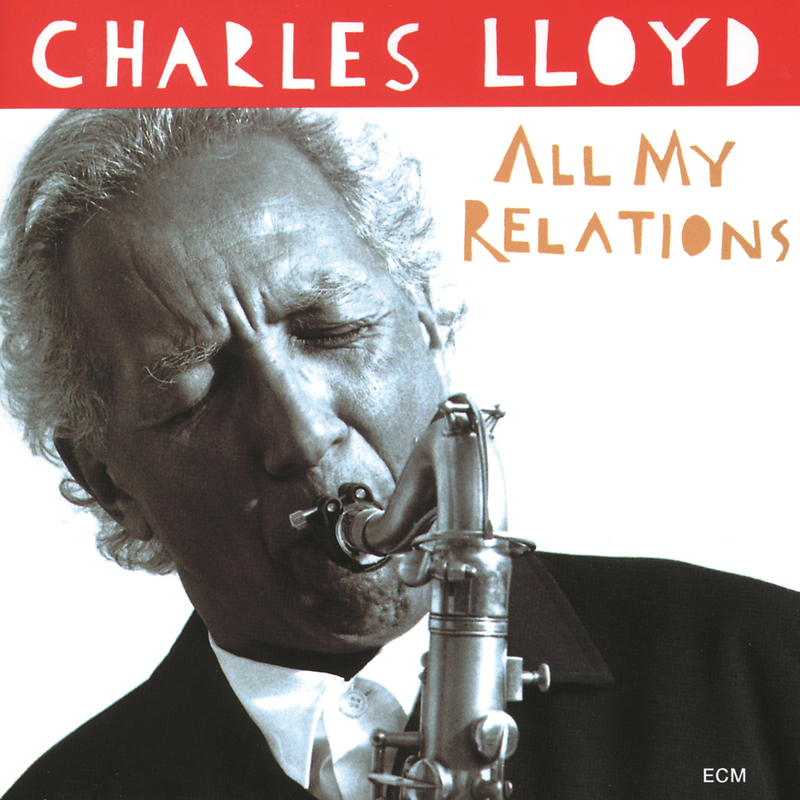 More expressive than melodic, per se, this is engaging free jazz that’s constantly looking for debate. Such is the sense of play through which it thrives. At times the music is so spread out that one has difficulty knowing if and when a “solo” even occurs. Regardless, Garbarek’s playing is knotted, but also carefully thought out. As in so much of his output during this period, he tends toward a sobbing, wailing quality that adds gravity to relatively airy backdrops. This is music with patience that demands just as much from the listener. It lives on the edge of its own demise, always managing to muster one final declaration before it expires. Regarding jazz, Louis Armstrong once famously quipped: “Man, if you have to ask what it is, you’ll never know.” For those still feeling lost, let Witchi-Tai-To provide one possible answer. As Jan Garbarek’s oft-touted masterpiece, this is not an album to shake a stick at. If anything, it is one to be shaken by. Carla Bley’s “A.I.R.” (All India Radio) summons this classic soundscape with a ceremonial thumping of bass, working toward saxophonic flights of fancy. Before long, Garbarek descends from his cloud with a pentatonic flavor before again riding the thermals of his generative spirit. This segues into a rousing piano exposition from Stenson, running with the adamancy of a child who thinks he can fly. The avian soprano sax returns as if to espouse the wonders of the air while also warning of its hidden hazards, catapulting itself into the vanishing point. “Kukka,” by bassist Palle Danielsson, is a relatively somber, though no less effective, conversation. It gives ample room for piano and bass alike to make their voices known and ends with another ascendant line of reed. Carlos Puebla’s politically charged “Hasta Siempre” seethes like radical folk music in search of an outlet. 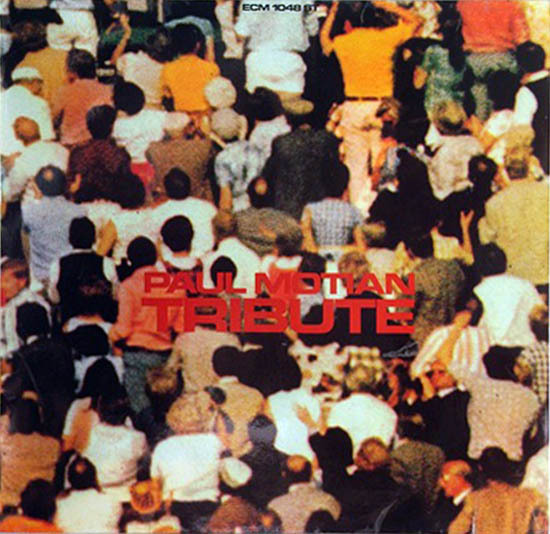 Drums and piano enable a boisterous towering of improvisatory bliss. Garbarek is a wonder, grinding out the most soulful sound he can muster, while Stenson’s frolicking runs practically stumble over their own momentum. In the title track by Jim Pepper, the rhythm section’s windup pitches more soulful solos from Garbarek, who can do no wrong here. His clarity of tone and conviction are sonically visionary and ideally suited to his cadre of fellow soundsmiths. Last but not least is “Desireless.” This Don Cherry tune is given a 20-minute treatment that surpasses all expectations. It’s a mournful closer, a song of parting, an unrequited wish. It tries to hold on to a rope that is slipping through its fingers, even as it struggles with all the strength at its disposal to keep the music alive. Garbarek refuses to go down without an incendiary swan song, however, and by the end it is all we have left. Much has been said in praise of the Danielsson/Christensen support in this outfit, and one would be hard-pressed not to feel the intense drive the duo invokes at almost every moment. To be sure, this is a team of musicians whose independent visions work flawlessly together, and whose end result is an essential specimen in any jazz collection. Witchi-Tai-To is a struggle against time from which time emerges victorious. Thankfully, we can always start the record over again. 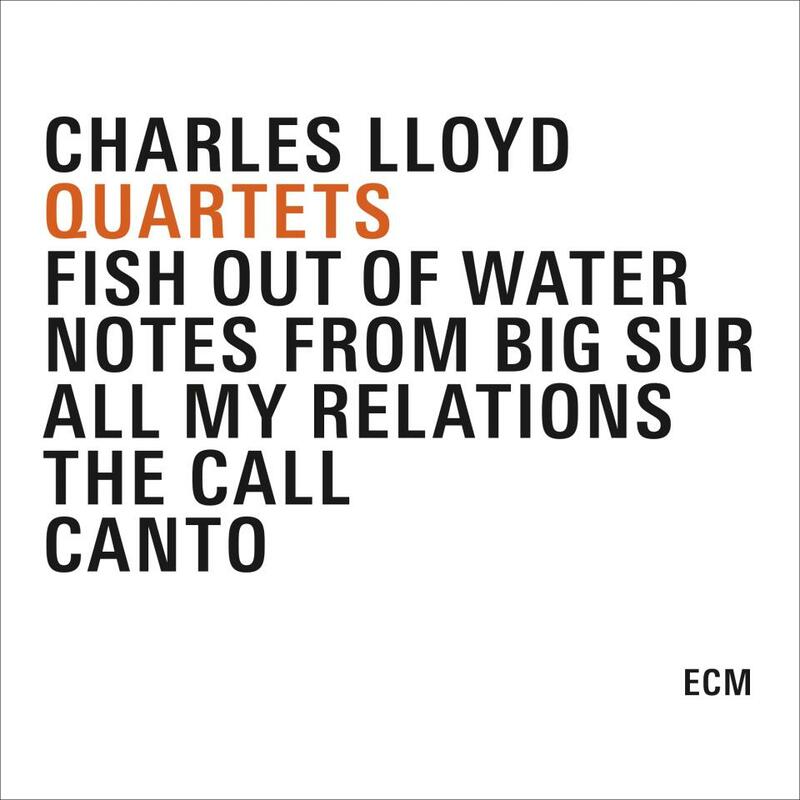 There is a tendency in ECM’s formative jazz releases toward immersive beginnings. Dansere is no exception, with its introductory flutter of sax and glittering piano runs. Comparing this album to Belonging, which features Keith Jarrett in the same company as Bobo Stenson is here, it’s amazing to consider the differences with another pianist at the fulcrum. One musician’s worth of difference may not seem like much on the back of an album jacket, but here it translates into essentially ten new voices with their own sensibility of time and space. Stenson’s abstractions throughout bleed into the listener’s mind like a smearing of watercolor across absorbent paper. This is music that has woken up after a long slumber—so long, in fact, that now it struggles to face the morning glare. The musicians seem to play with their eyes closed, grasping at fading tendrils of memory so close in dreamtime yet otherwise so distant. Whereas some of us might grab a note pad and try to capture as many of those fleeting moments before they escape us upon waking, each member of this quartet finds an instrument and sets his recollections to music. The album finds the time to stretch its vocal cords, to take in the air, to look outside and judge the weather from the clouds and the moisture it inhales. The title track is the most demanding journey here, carrying us through a gallery of moods and locales, and fades out beautifully with Christensen’s rim shot clicking like a metronome into the heavy silence. In “Svevende” Stenson emotes a laid-back aesthetic, finding joy in quieter moments. Though we are by now fully awake, we still find ourselves regressing to the darkness of sleep and its promise of vision. Every moment leaves its own echo, so that each new note carries with it a remnant of all those it has left behind. “Bris” picks up the pace a little and showcases Garbarek in a heptatonic mode. Stenson also has some memorable soloing here, working wonderfully against Christensen’s drums and Danielsson’s steady thump. Somehow the motives remain melancholy, speaking as they do in languages they have yet to understand. “Skrik & Hyl” features a sax/bass duet of piercing incantations before Stenson brings us back down to terra firma in “Lokk.” The title here means “herding song” and feels like a call home. It unfolds like the dotted plain on the album’s cover, a desert under a hanging moon or an ocean swept by a lighthouse. “Til Vennene” is the end of a long and fruitful day. Yet in spite of the album’s pastoral flair, I find this final track to be rather urban. It shifts and settles like a drained glass of scotch, leaving only that diluted rim of sepia at the bottom: a mixture of melted ice and solitude. You feel just a little tipsy, straggling home through the rainy streets. Memory and sorrow swirl without blending, like every rainbow-filmed puddle you pass in gutters and potholes. You wander as if you are walking these streets for the first time, knowing that your legs will get you home regardless of your inebriation. Your only footholds are those brief moments of bliss shared among friends; the only times when trust was never absent. Your world becomes blurry…or is it you who blurs? My first encounter with Odyssey came in the late nineties. 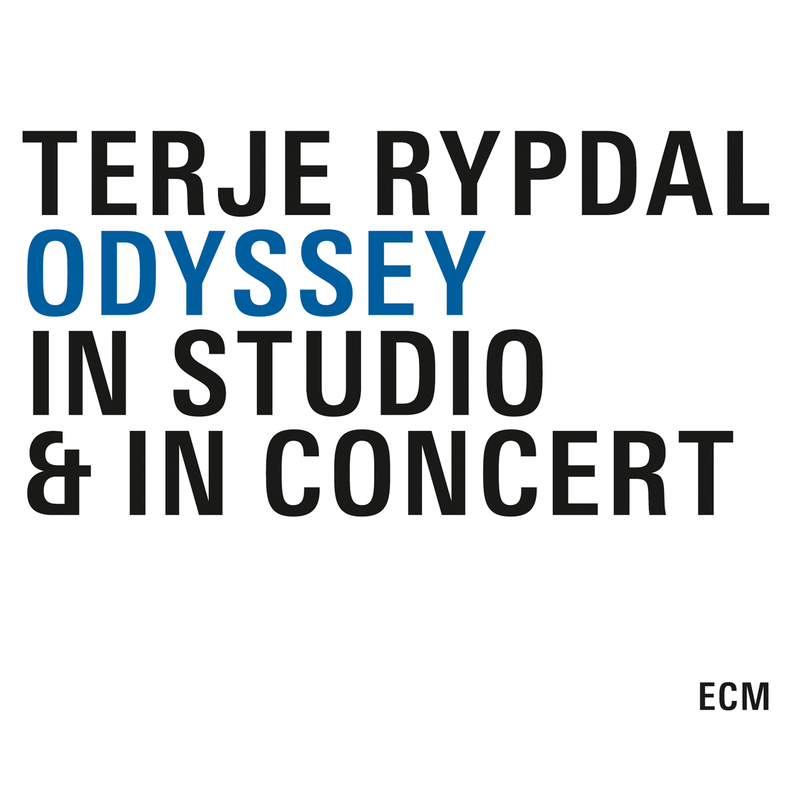 Still young in my ECM explorations and having just barely crossed over into Jan Garbarek’s Visible World, I wasn’t quite sure what to make of the journey that label stalwart Terje Rypdal (a name as yet unfamiliar) had just taken me on. The CD fell out of rotation quickly, I’m afraid to say, buried under the pile of New Series albums then dominating my attention. Years later, and well into my own listening odyssey, I returned to it, only to find that it had never left me. 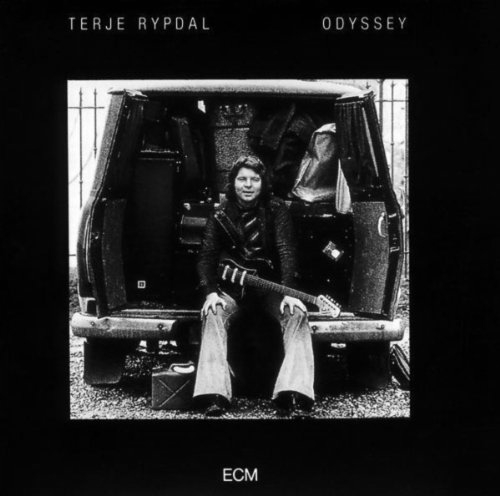 Rypdal has, of course, been under the ECM umbrella since almost the very beginning. The release of his self-titled debut in 1971 sparked an intrepid flame that continues to burn through a wide spectrum of colors. As the informative liner notes from John Kelman tell us, the band that was to define Odyssey was the product of circumstance. Drawing on a pool of musicians from previous sessions, including bassist Sveinung Hovensjø from 1973’s What Comes After, he also welcomed unexpected talents into the fold, such as drummer Svein Christiansen and organist Brynjulf Blix, the latter of whom contributed heavily to the album’s well-aged luster. The resulting sound proved a defining one, as inescapable bass lines danced touch-and-go with the guitarist’s unbridled narratives. We hear this most in the solid underpinnings of “Midnite.” Hovensjø lays down the rules for all of its 17 minutes, leaving Rypdal to stretch them to the pathos of his progressive solitude. Those carefully pedaled strings and alluring soprano sax (played by Rypdal himself) careen through its nocturnal billows with humble ferocity as Torbjørn Sunde brings comparable light to the sky with muted trombone. If the plangent cry of “Darkness Falls” that precedes this and opens the album tells us anything, it is that here is a terrain of emotional clarity and immediacy. The magic of this rendering lies in its continual flux, in its refusal to settle into one topographic pattern. The following “Adagio” plunges the album to new depths, even as it raises the bar from which it hangs. Solina strings owe their thickness to the charcoal yet discernible picture into which Rypdal’s guitar spills ether: a shout of autonomy in its coolest disguise. “Better Off Without You” walks in organic circles, occasionally poking its head above the watery depths of Blix’s ostinato haze, keeping an eye trained “Over Birkerot.” In this punchier setting, Rypdal keeps his feet planted amid a chain of horn blasts (think Hans Zimmer’s Inception soundtrack on a smaller scale). His cathartic rock-out midway through is a chance to let hair fly and pulls open the ribbon of “Fare Well.” Along with the final “Ballade,” it finds the musicians in languid suspension, crossing vibraphone-like paths toward elegiac destinations. It may feel blinding, but we can be sure this light comes to us by the force of a distant hope. 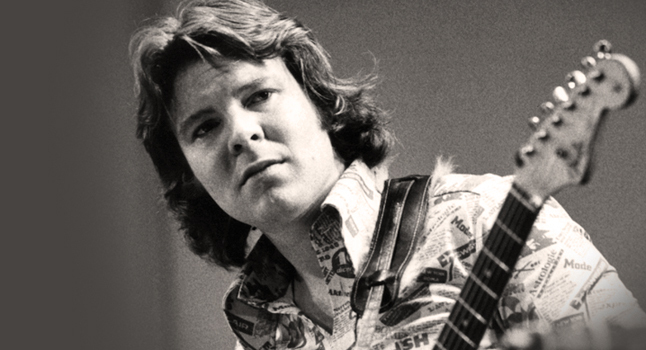 Rypdal has an incisive way of building anticipation, of dropping his solos at the most carefully thought-out points, his guitar an endless book of codas. Like the photo that graces its cover, Odyssey captures the life of a nomadic musician in candid monochrome. And while the album had been reissued on CD prior to this New & Old Masters set, the 24-minute “Rolling Stone” sadly did not survive that first digital makeover. An organ-infused underwater symphony of legendary status, its primal bass line and whammy bar ornaments flow like a meeting between Bill Laswell and Robin Guthrie before bringing on the album’s most rock-oriented developments. It also charts Rypdal in a pivotal moment of self-discovery where his tone began to coalesce into the sound for which he has come to be known. What a treasure to have in restored form. This commissioned radio performance from 1976 features a streamlined Odyssey band (sans Sunde) fronting the 15-piece Swedish Radio Jazz Group. At under four minutes, the title track might blow by like the foreword to a novel were it not for its sheer theatricality. Rypdal’s vision cuts the darkness with a film projector’s eye, and blends into the Matterhorn bass of “The Golden Eye.” Icy synths challenge the thaw of Blix’s electric piano as fiery horns uncurl their tongues from the firmament and lick the snowcapped mountains of an unbridled story. Rypdal lifts this image skyward on waxen wings, which, unlike those of Icarus, are impervious to the light on which they feed. Next on this spacy ride is “Scarlet Mistress.” At once sharpened by muted trumpet and rounded by swinging textures, it gives wide relief to Rypdal’s laser etchings. One feels in its background the kick of eras when music’s enervation thrived in proportion to the harshness of its sociopolitical climate, so that the clubs of the 20s and 30s resurrect themselves and dance their ghostly dance. The soprano returns for a spell, for all a moonbeam peeking out from the clouds into a well of chords that pull us into “Dawn.” Melodies unwind, each a snake wrapped around the wrist of a god who whips it free into the glittering sky. Some enticing bass work dances amid Rypdal’s shimmers of water-harp enchantment, lowering us on a fishhook into the depths of “Dine And Dance To The Music Of The Waves,” in which sitar-like sounds pave a Nazca runway for the soprano’s grand coverage of worldly joy. Christiansen is the contortionist’s backbone of “Talking Back.” Sporting also high-flying reeds from Lennart Åberg and Ulf Andersson, its attunement is downright symbiotic. A real highlight. And speaking of which, where else to end but in “Bright Lights – Big City,” closing out the set on a signature dronescape. With such a full sense of architecture to explore, it’s no wonder this newly unearthed companion has held its shape. In elevating the big band to a level of orchestral aliveness so rarely achieved, Rypdal has left a mark that is not only indelible, but also inimitable. With a nostalgic sound that distinguishes so much of ECM’s output from the decade, Odyssey – In Studio & In Concert shares the pedestal with Keith Jarrett’s Sleeper as release event of the year. 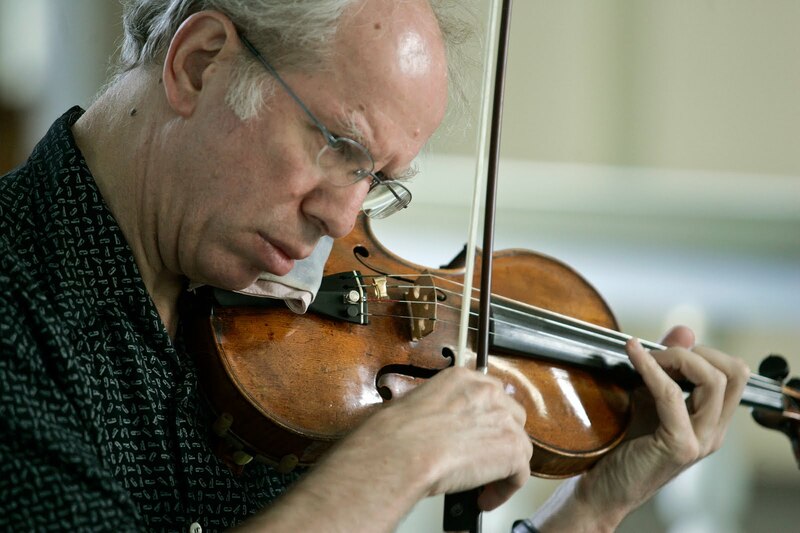 The Lockenhaus Chamber Music Festival is the brainchild of violinist Gidon Kremer. Once called an “anti-festival,” it is more a gathering of friends bound by a love of all things chamber and a certain haphazard brilliance: its constant cancellations, rescheduling, and daunting thematic choices somehow coalesce into a coherent yearly event. And an event, it most certainly is. As Peter Cossé writes in his liner notes: “In Lockenhaus, awareness, the casualness of a holiday atmosphere, a creative commitment bordering on musical revolution, and even instrumental mishaps that result from nightly round-the-clock socializing induce a shimmering acoustic ‘painting’ that the totally immersed chamber music fan views in alternating states of torpor and enlightenment.” This potent energy and the communal spirit that animates it abound in every note. 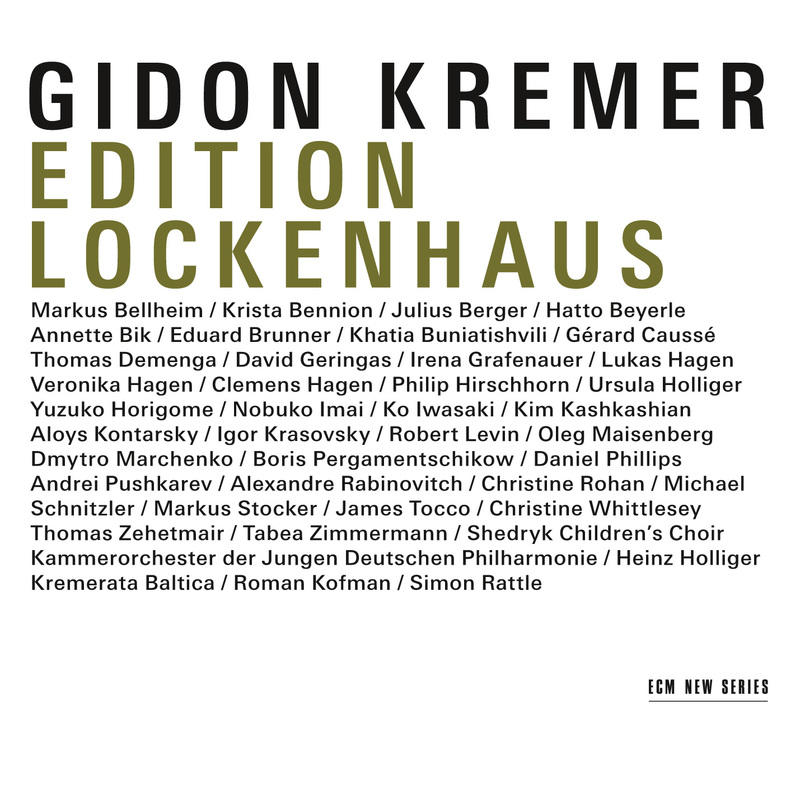 For this five-disc Lockenhaus Edition, Kremer and coproducer Manfred Eicher have chosen from out of literally hundreds of recordings these highlights from the festival’s 30-year history. The Metamorphosen of Richard Strauss (1864-1949) make for a formidable opener. This study in strings was dedicated to the great Paul Sacher and penned as the doors of the Second World War were closing. In light of its circumstances, one can hardly resist reading an almost Wagnerian shade of grey into its opening gestures, tinged as they are with a certain disillusionment with reality. The music is constantly finding itself through a blurring of conflict and resolution. It is a hall of mirrors where self-awareness is an understatement, in which every vague pizzicato turns the mirrors to new angles. The solo instruments don’t so much arise out of this swirling mass as glint off them. The double bass lines are especially overwhelming, while the violin becomes a looping sentiment curled ever so gently around the throat of trauma. It is as if a single molten thread were running through it, our vision of it but one of countless beads strung along its path. It finds its peace in little dissonances, casting a critical eye on platitudes, and in that way one finds perhaps only in Schubert recedes into the foreground. It is the flow not of water, but of the algae that visualizes the current’s direction. Lovingly played by the Kremerata Baltica and conducted by Simon Rattle, this performance shows Rattle’s eclectic talents in the raw, turning over as he does the sweltering underbelly of this piece. He is an ideal choice, for he knows how to make the lush feel like a drop in the bucket. He sees what the music nests itself in and works his baton around and through every twig. 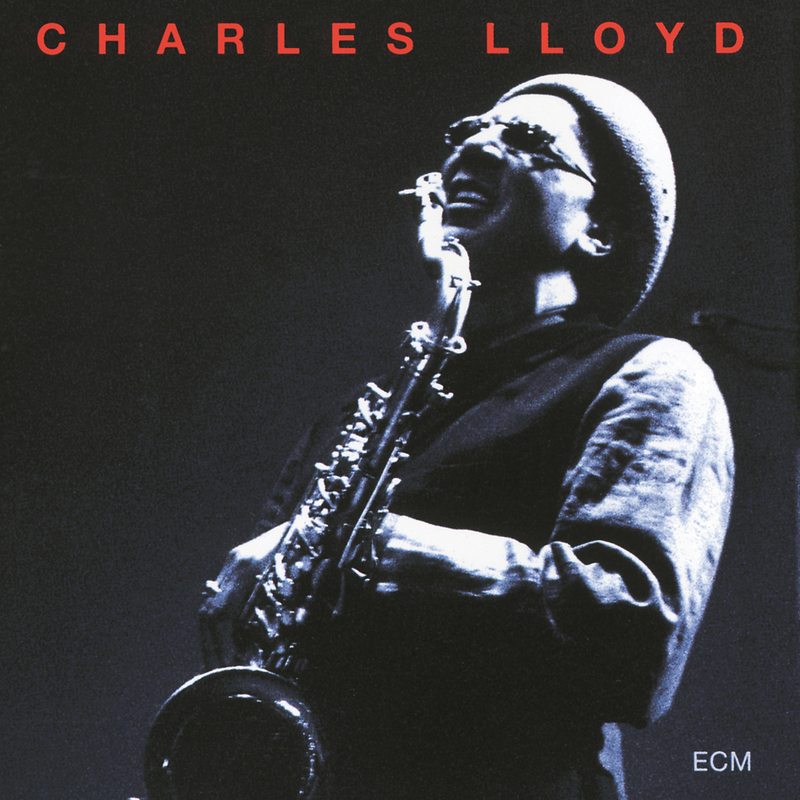 One of ECM’s finest live recordings. Although Olivier Messiaen (1909-1992) composed his Trois petites Liturgies de la Présence Divine not long before Strauss’s Metamorphosen, its register could hardly be more different. Where the latter is a meditation on memorial, Messiaen’s aural triptych is an unfolding flower of light. The synaesthetic Frenchman has brought a profound imagination into palpable dimensions here. A wistful combination of piano, strings, and women’s voices opens the first liturgy, each the side to a nebulous triangle of forces. The agitations at the keyboard are like a broken crystal, drawing its light from vocal lamentations. The violin seems to rise with a spindly charm that is as alluring as it is self-destructive. We get the internal musings of an ondes Martenot, as well as various percussive accents falling like stardust in the religious imagination. In the second liturgy, jubilation quickly turns into a discomforting beauty, the piano jumping from a subterranean crawl to unmarked flight in but a fluttering of the keys. The third unravels a chant into its constituent lines, each an iridescent tether to sentiments performed rather than spoken. Passages of transcendence sit somehow comfortably alongside dips into magma, ending in a brushstroke of heavenly choirs. If the first disc was an introduction, then the Quintet in f minor for piano and strings by César Franck (1822-1890) is a rich first chapter. From the opening violin proclamation we are plunged headfirst into the depths of Romanticism proper: the piano as heartbeat, the strings as lifeblood. It is a plaintive world, at once cloudy and broken by light, unnamable except through sound. The piano vies for constant resolution, knowingly situated at the center of an unsolvable debate, sometimes leaping and sometimes falling back into the despair that first gave it meaning. As we tread softly into the distance of the second movement, the young Lukas Hagen displays profound versatility with his clarity of tone and burrowing vibrato. As the central melody emerges into arid light, our ears come into focus as might a pair of eyes. The piano’s high note phrases are like droplets laddering down leaves on a solitary tree. The third movement lays down an almost Philip Glassean ostinato in the strings develops with fractured intensity. The piano promises hope, but settles altruistically into shadow, where pizzicati lurk like a guitar in Death’s hands. So begins a lush pairing of French and Slavonic works, which offers dramaturgical insight into the festival’s vibrant mentality. The former side of things continues with a curious piece by André Caplet (1878-1925), a composer whose orchestrations of the works of Claude Debussy outshone his own musical visibility. Based on Poe’s “The Masque of the Red Death,” Conte phantastique sounds like Maurice Ravel’s Trois poèmes de Stéphane Mallarmé turned into an opera, stripped of voices, and condensed into a string quartet. Add to this the aquatic brilliance of Ursula Holliger on harp, and you get a truly distinct experience. Holliger plays pianistically and extracts a profound power from her instrument. The music vacillates between the programmatic and the omniscient. Strings jumble together as the masquerade intensifies, the harp descending like Prospero in gracious intervention. A knock interrupts the action, prompting glassine whispers from the violins. Agitation mounts, only to flutter its eyelids for the last time. Two songs from “Fiançailles pour rire” make for a fine entry from Francis Poulenc (1899-1963). These somber settings grab our attention with their potency. With empathetic effect, soprano Christine Whittlesey shapes every note with locative color. 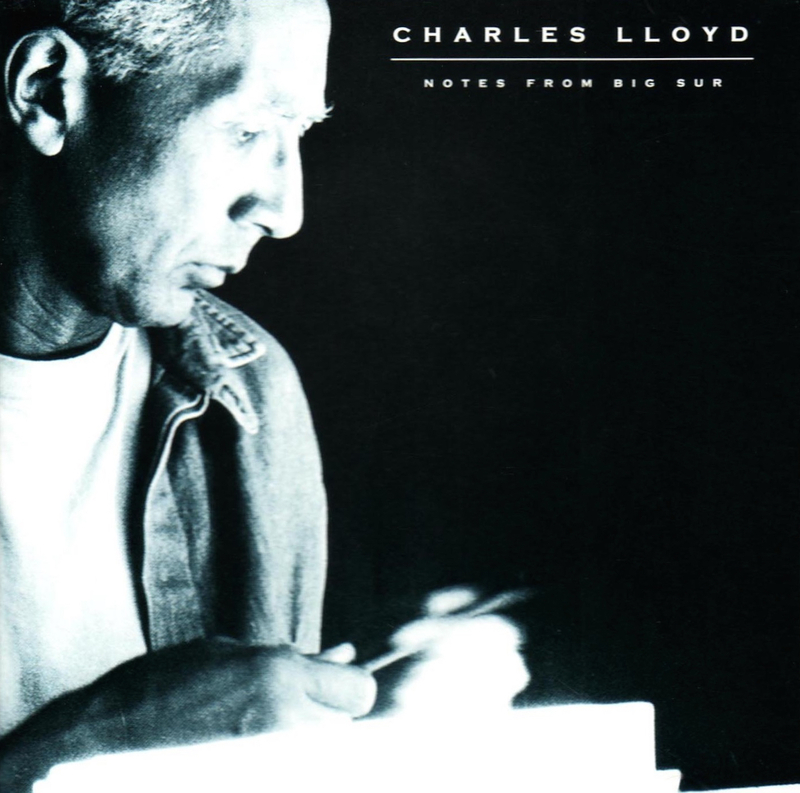 Her dynamics fall like ripe fruit from a tree of implication, caught in the capable hands of pianist Robert Levin. Every last shred of hope is laced with painterly melancholy, leaving only scars to show for its passing. Leoš Janáček (1854-1928) was an intensely confessional composer, and nowhere more so than in his string quartets, of which we get his first. From the urgent suggestions and biting interjections of the opening movement to the enigmatic veil of the fourth, we are pulled through a diorama of illusory scenery. Clemens Hagen is especially brilliant here, his cello lighting the way through a fog of folk tales, while second violinist Annette Bik provides moments of rhythmic brilliance. The Quartet No. 1 is a blind spot in the Janáček oeuvre. We accept its disorienting illusions without fear of what lies behind them. We hear carriages drawn by spooked horses, the cries of a forlorn father, the hunting calls of an aristocracy in decline. Thus populated by our imaginations, the music brings us closer to our own internal dramas. After such inescapable opacities, the neoclassical clarity of Igor Stravinsky (1882-1971) comes as a pleasant surprise. Scored for violin, clarinet and piano, these three dances from L’Histoire de Soldat show the composer at an evocative peak. Kremer brings characteristic fire to every nuance. His sonorous gypsy acrobatics are a joy to behold. Clarinetist Eduard Brunner peeks in for the opening Tango, offering constructive support. The beautifully syncopated Waltz holds to its core with enthusiasm, Aloys Kontarsky’s occasional high notes adding confectionary flavor. The final Ragtime brings a mounting complexity to these brief but vivacious utterances. An enthralling performance of Stravinsky’s Concerto in D follows. Under the passionate direction of Heinz Holliger, the Kammerorchester der Jungen Deutschen Philharmonie springs to life with the opening pizzicato. Noticeable idiosyncrasies abound, such as a strikingly textured moment when the inside of piano is plucked for added effect during the Vivace. The flexibility of the second movement is intensified in hands of such bright young musicians, dancing lithely between pathos and fleeting awareness. Plunked double bass accents punctuate every moment of this graceful interlude. The final movement displays an astute sense of division, especially in the solo cello and its immediate refraction. These musicians bring an almost manic sense of multiplicity to music that is already beyond alive. Who better to end this portion with than Dmitri Shostakovich (1906-1975)? A far cry from the monochromatic intensities of his quartets, the wonderfully Mozartean waltzes for flute, clarinet, and piano glisten with salon-like ebullience. The interplay between Brunner and flutist Irena Grafenauer makes for a clever listening experience. The second waltz is especially alluring in its ascending harmonies, its last flutters eliciting audible smiles from the audience. The Two pieces for String Octet op. 11 comprise a more complicated diptych. After a dense opening statement in the Prelude, the lower strings spread out as violins dissolve like mist in the dawn. We get a hint of later Shostakovich in the Più mosso. Its mature balance of aggression and delicacy betrays a forward-looking mind. The final passages writhe in agitated beauty. A solo cello draws a long energetic line, accompanied by pizzicati and distant calls. More dissonant pairings and threats of a fall that never materializes draw us into a tensely mystical finish. Edition Lockenhaus Vol. 3 is strangely excluded from this set (you can see my full review of it here). Czech composer Erwin Schulhoff (1894-1942), a forgotten ideologue-in-arms of Shostokovich, was an intensely dynamic composer. His music lies somewhere between the Russian and Górecki, and provides a fitting cap to an altogether fascinating Lockenhaus portrait. After an exultant introduction, his opus 45 Sextet wanders varicose paths with trembling caution. The violins shimmer like the surface of a moonlit pond in the second movement, under which glide the cello and viola, each an electric eel that lights up the night. In the chambers of this heart, the only blood is a silence that hangs from the trees, gripped like a branch beneath an owl’s talons. Some stellar pizzicato passages in the third movement add hope to our dreams, puncturing the backdrop until it resembles an artificial sky. The final movement is a fractured look back on the first three, a heavy and romantic flower whose weight barely bends the stem, its desires never spoken louder than a whisper. Pianist James Tocco turns out another star performance the Cinq Études de Jazz op. 58. These inventive pieces draw more upon the rhythmic than melodic colors of the genre. The result is an exposition that is not only delightful fun, but also one that provides foiled insight (especially in the second etude) into composers like Satie and Poulenc who were keyed into popular music idioms. The third etude has the majesty of a Gershwin yet the bleeding colors of the French impressionists, while the fourth is a romp and a cascade rolled into one, leaving the fifth to return full circle with the verve of the first, drawing a lively signature on which to end. In an interview, Kremer remarks on the difficulties that inevitably arise in putting together such a festival. Quintessential are the tense circumstances surrounding the Franck Quintet, which apparently failed to come together to the musicians’ satisfaction during rehearsals. In spite of this, they managed to pull off one of the most lauded performances of that year (1984). Such is the spontaneity that Lockenhaus creates, encourages, and promotes. This is an exciting limited edition for reasons too numerous to list in full. 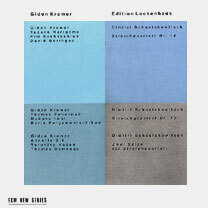 Not least among them is the fact that the original recordings marked the debut of New Series stars Eduard Brunner, Thomas Zehetmair, Heinz Holliger, and Robert Levin. It is a stream-of-consciousness narrative linked in the fluidity of real-time recollection, the immediacy of which is only heightened by the superb musicianship and live recording. This treasure trove belongs on your shelf. The piano is considered by some to be a “complete” instrument. On it, one can compose anything from a simple etude to the grandest of symphonies, and its most adored practitioners may be said to be whole at the keyboard. The beauty of a player like Keith Jarrett is that he makes the piano sound so gorgeously incomplete, emphasizing as he does the unfathomable volume of sentiments he would convey through it if given the time. As it is, we get the barest taste of immortality. Jarrett carries the entire weight of any composition in even the most linear of melodic lines. In doing so, he opens doors that few could step through unharmed. And yet, step through them the rare soul has, and perhaps none so ingenious as bassist Gary Peacock and drummer Jack DeJohnette. When listening to the bliss that rolls off Jazz’s proverbial tongue throughout Setting Standards, however, we must constantly remind ourselves that the three albums collected therein represent the first time Jarrett, Peacock, and DeJohnette had ever stepped into the studio as a bona fide trio. The three men were, of course, far from strangers, but produced such unreal synergy in these unrehearsed sessions that they might as well have been cut from the same cloth. The trio would also prove in a way cathartic for Jarrett, who was already beginning to buckle under the pressures of an increasingly demanding listenership. For this, he turned to the tried and true, if not to the plied and blue, for solace. Standards, Vol. 2 (ECM 1289) is a shaded glen in Volume One’s verdant forest. Its mood is summed up perfectly in the title of the opening “So Tender,” which after a slow intro falls into the unity that so distinguishes this trio. Jarrett dances not on air but on fire in his pointillist lines, while Peacock and DeJohnette both captivate with their subtle, popping sound. “Moon And Sand” is an equally smooth ride through less traveled territories and finds Jarrett in a gentler mood. DeJohnette is also at his most delicate here, drawing circles in the sand with his brush. For “In Love In Vain” Jarrett spins from thematic threads a twin self, who for all his similarities breathes a different sort of politics in one of the set’s finest tunes. With every grunt, Jarrett voices only the tip of his creative iceberg. Peacock delights with a very elastic solo, which no matter how far it stretches stays locked to its theme as if by finger trap. Jarrett is at his lyrical best in “Never Let Me Go,” and skips to his Lou in “If I Should Lose You” before laying down the poetry of “I Fall In Love Too Easily” with a thick, tangible power. Prior to the release of Setting Standards, I hadn’t yet encountered the free play session that is Changes (ECM 1276) and what a joyful surprise it turned out to be, for never has the trio emoted in such a blissful mode. “Flying” is a heavenly diptych honed in delicacy and abandon. Here the band describes a decidedly aquatic territory, each tattered thread of melody flowing like the tendrils of a throbbing deep-sea creature whose eyes are its hearts. Jarrett spreads and shoots straight like an octopus, every pad suctioning to a new and exciting motif. Peacock, meanwhile, threads his fingers through a vast oceanic harp, stretching his emotive capacity to its limits. DeJohnette surfaces with a deeply digging solo before we end with Jarrett alone in a quiet, dissipating reflection. Peacock trails his starfish of a bass line through the pianistic coral reef of Part 2, he and DeJohnette inking their solos before hollering their way into an inescapable passion. The set ends in the refractions of “Prism.” And indeed the trio as a unit is not unlike a prism, separating every ray of light into its composite colors, likewise every ray of darkness into its whispered secrets. Jarrett’s expulsions heighten every inarticulable word that he writes, the breath of an energy that cannot be contained. The farther these reveries drift, the more life experience they carry back into the fold when they return. In a society gone astray from musical immediacy, it’s safe to point out Jarrett’s nexus as one of the more reliable vestiges where melody still blooms. With an average track length of nine minutes, these are quiet and endlessly interesting epics. Say what you will about Jarrett’s singing, which has sadly turned not a few off from these recordings, but I believe Peter Rüedi puts it best in his insightful liner notes when he says, “His groans and vocal outbursts, considered by many to be a quirk, are in fact nothing but a form of suffering at the thought that the abyss between the piano and sung melody can ultimately never be bridged, not even by Jarrett himself.” To these ears, Jarrett’s voice welcomes us into the intimacy of his creative spirit, so unfathomably expanded in the company of two fine musicians (and even finer spirits) whose talents can’t help but sing in their own complementary registers. And on that note, we mustn’t forget the contributions of Jarrett’s band mates, who constitute far more than anything the mere rubric of “rhythm section” might ever imply. How can we, for example, not shake our heads in wonder at DeJohnette’s consistent inventiveness, which singlehandedly reshaped the idioms at hand. And then there is Peacock, who for me is the bread and butter of the first two sessions. So carefully negotiating his path through various leaps and bounds, he seems to anticipate everything Jarrett throws his way. Just listen to his soloing on “It Never Entered My Mind” and “God Bless The Child,” and these words will mean nothing. Through the two standards albums, Jarrett put the “Song” back into the Great American Songbook, and in Changes enlarged it with “Prism.” Now given the proper archival treatment in this 3-disc Old & New Masters edition commemorating 25 years of music-making, this unassuming surge of sonic bliss is now ours to cherish at will. The music of CODONA, ECM’s most emblematic creation, invariably puts me in mind of the above passage from Kingston’s classic “memoir.” It describes the author’s mother as, having just received her diploma, she celebrates by spreading what little monetary resources she has. The word that always stands out for me, and which is a theme of the book as a whole, is “talk-story,” for it describes with no uncertain brevity exactly what CODONA enacted in the studio (and on the stage) throughout the four-year span represented on this Old & New Masters trilogy. CODONA’s name—a portmanteau derived from its members’ firsts: COllin Walcott, DOn Cherry, NAna Vasconcelos—melds minds and hearts in the deepest crucible of music-making. With their unique brand of pan-culturalism, CODONA developed an entire sonic landscape without needing to throw itself under the next promising classification to come along. 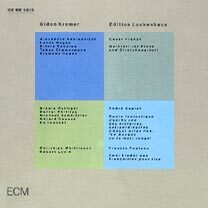 These self-titled gems each plot a unique transition in ECM’s graphic and sonic development, reaching both beyond jazz and more deeply into it for hints of origins and possible futures. The improvisational spirit is very much alive at every turn, while also recognizing the pulse of its own maudlin journeys. There is always a sense that one has arrived at a truth, which through CODONA’s collective spirit(ualism) has transcended the misnomer of “universal” into a far more nuanced and selfless understanding of the relationship of sound to all creation. Whenever we speak of “universal truths,” we delineate quite the opposite. Rather than tapping into a concept, an energy, or state of being that binds all life in however arbitrary a way, the only purpose of universalism is in fact to make us feel better about ourselves. It treats the human experience as primary target, the standard by which all else comes to be measured. The base concept of universalism implies, through its very anthropocentrism, self-obsession as the only path to connectivity. The music of CODONA remains an invaluable corrective to this assumptive attitude toward human experience. Rather than hide, it transcends its own sense of self into a disembodied sonority. 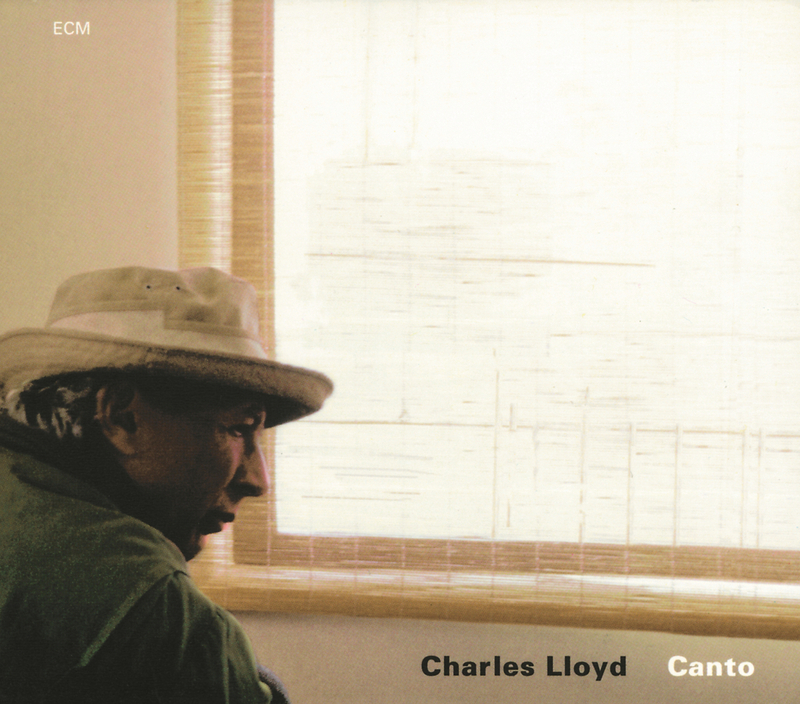 CODONA’s first album is particularly dear to my heart, for it is the only in the ECM catalog to have been recorded during the month and year of my birth. As such, it lends itself well to my imagination, where it plays as soundtrack to my emergence into this mortal coil. Careful arrangements, spontaneous though they may be, flavor our first taste of CODONA blood in “Like That Of Sky.” From the opening gong, this album enchants with its dramaturgy, in which time and space are one and the same. Against clicks and whistles, a subterranean sitar appears. In it, we hear the grumbling of voices. Cherry fills the vast emptiness with his sung trumpeting, so that the emptiness can only weep in return. Walcott’s sitar is respectfully articulated, ever so subtle in its reverberant twang, providing a gelatinous backbone, such as it is, for Cherry’s more immediate interpretations. From this, we get the tinny call of a clay drum and a flute hooked into every loophole, pulled to expose a more regular core. [This track reminds me very much of the work of the enigmatic duo known as Voice of Eye (especially their 1994 album Vespers), who achieve similarly evocative density from purely acoustic means.] Walcott’s tabla signals the phenomenological urgency with which divine creation takes form, as if finding amid the contact of fluttering fingers along pulled skin the key to unspeakable life. The second track takes the group’s name, and further slackens the threads that keep them bound to this mortal coil. Through an intriguing blend of wooden flute, hammered dulcimer, and some scattered percussive footsteps, the musicians manage to evoke a wide range of special effects from clear and present means. And as the rhythmic rope ladder unrolls itself step by step, we are enticed by its gentle sway into the enlightened space it has drawn for us of wood, metal, and touch. “Colemanwonder” deftly combines Ornette Coleman’s “Race Face” and “Sortie” with Stevie Wonder’s “Sir Duke” in an auditory hodgepodge that is as delightful as it is singular. Given Cherry’s formative history with Coleman back in the late 1950s, this is an important swath of light to note in the album’s otherwise stark shade, made all the more vivid by the grunts, barks, poundings, and knocks issuing from Vasconcelos’s Brazilian cuica drum. “Mumakata” (apparently a favorite of the group’s live shows) features Vasconcelos on berimbau, Walcott on sanza, and Cherry on doussn’gouni. Voices sing, as if evoking the past for past’s sake. Against this tapestry, Cherry breaks out his trumpet for some gorgeous legato phrasings. “New Light” begins with the tinkling of bells and an awakening sitar. We arise from a gentle coma even as we settle into another: from the beauty of awareness to the awareness of beauty. Cherry launches higher flights of virtuosity, underscoring all the more the humility that has led him to this point in the album. Shells hiss like the raspy leaves of a giant palm thrashing in the wind. The dulcimer returns with maraca as Cherry spreads thicker melodies with clarity of tone and posture. A track so nocturnal that it almost glows. Every telepathic moment sparkles before Cherry cracks open a box of blissful high notes and fluttering half-sung hymns, leading us out as dulcimer strings are brushed like a harp by breath without source. CODONA 2 drops us immediately into a groovier pool with “Que Faser.” Over tabla and sitar, Vasconcelos exchanges tender thoughts with Cherry’s trumpet, traveling from the majestic to the falsettic in one fell swoop. This leads into “Godumaduma,” the briefest track of the collection, and also its most enchanting. What sounds like three overdubbed sitars in a gorgeous transitory interlude configure something akin to Steve Reich’s Electric Counterpoint had it been written for Walcott and not electric guitar. Switching colors from the sandy and windblown to the gravid and architectural, “Malinye” features Cherry on melodica and Walcott on timpani. As the latter tumble over a highly cinematic terrain, a ring of spirits whispers, cackles, and wails. This haunting piece ends in a sanza-led chorus that stretches far beyond the final vibration and into another state of mind. At the halfway point, we find ourselves feeling “Drip-Dry.” Sitar and voice creep around our circle of light, reaching with shadowy hands to grasp the trumpet’s song within. The buoyant “Walking On Eggs” that follows sounds, like all of CODONA’s work, simultaneously composed and improvised. A buoyant piece, it is also as tentative as its title suggests. “Again and Again, Again,” on which we end, might as well be our listening instructions for this most underrated album of the set. Sitar and trumpet provide some vivid runes, of which Vasconcelos makes a sonic rubbing with a string of sounds not unlike a tape in fast forward, if not a dreaming bird. Add to this the plurivocity of a melodica, and one begins to see subtle density and “vocal” qualities that make this one of the group’s most inward-looking statements. The traditional Japanese “Goshakabuchi” that begins the final leg of this triumvirate turns the mirror just so, flashing a glint into our eyes from a distance. Cherry’s brassy ether drips with sympathetic effect; hammered dulcimer hurls its delicate, insectile hiccups; untold lives tease us with their possibilities. This is perhaps the most haunting and coalescent track in the collection and shows the trio at the height of its signature synergy. Sanza and doussn’gouni back the chant-heavy “Hey Da Ba Boom,” which will adhere to your mind far more than any words I might use to describe it here. “Travel By Night” trailmarks its path with berimbau, sitar, and muted trumpet. Walcott’s arcing tones make for quiet narration. Hooded by the darkened firmament, it practically floats with the practiced steps of a modest caravan fleeing from its own histories. A trio of shorter rest stops follows, of which “Lullaby,” the only moment with Walcott alone, gives us a heartening glimpse into the mind of group’s creative nerve center. “Clicky Clacky” provides a dash of whimsy, a bluesy gem from the mind and mouth of Cherry, complete with train whistle. The final gasp comes from the “Inner Organs,” where the echoes of trumpet and, not surprisingly, organ move in concert like a jellyfish and its tendrils toward open closure. The music world lost one of its most innovative figures when Collin Walcott perished in a car accident while on a European tour with Oregon in 1984, and the CODONA trilogy is but a flash of what this inimitable project might have further accomplished had he lived on. As rooted as the music is, the edge of time has severed its earthly ties. If jazz had developed from one mystical seed (and who’s to say it didn’t? ), then certainly its originary tales would sound very much like the elder’s musings preserved here. Through their own brand of talk-story, these attuned sages brought forth truths of fragmentation, permeability of mind and body, and of the knowledge that nothing matters anymore once sound opens your ears. Want to see ECM at its finest hour? Then set your clocks to CODONA time.